BLEEDING THROUGH Announce New Album, Record Label & Unveil "Set Me Free"
Finally, it‘s official! 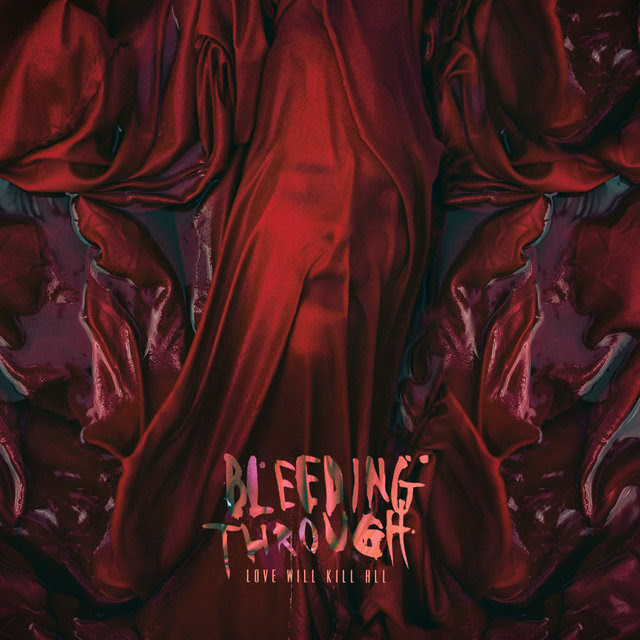 BLEEDING THROUGH are back with a vengeance with this aggressive new, full-length offering Love Will Kill All, which is set for a May 25th release via SharpTone Records. The blistering new album is BLEEDING THROUGH at their very best and the brand-new music video for the track, "Set Me Free”, can be viewed now at the link below. Brandan Schieppati (vocals) states: "After five years away we realized the heartbeat of BLEEDING THROUGH is still beating. We feel one of the best things that we could have done was to step away and concentrate on other aspects of our lives and let the dust settle on BLEEDING THROUGH, as people knew us. Our motivation to write the record was purely because of our passion for our music. The creative blood that runs through our veins, which hasn‘t changed since 1999. I feel that our creativity and passion is being put on display in this new record, Love Will Kill All. We feel music is the ultimate expression and whether people want it or not we felt the need to express ourselves again. The beauty is that no one can stop it from happening. 'Set Me Free' is a song that speaks of new beginnings.